Ten years into the OCP, Lynn Valley is changing. 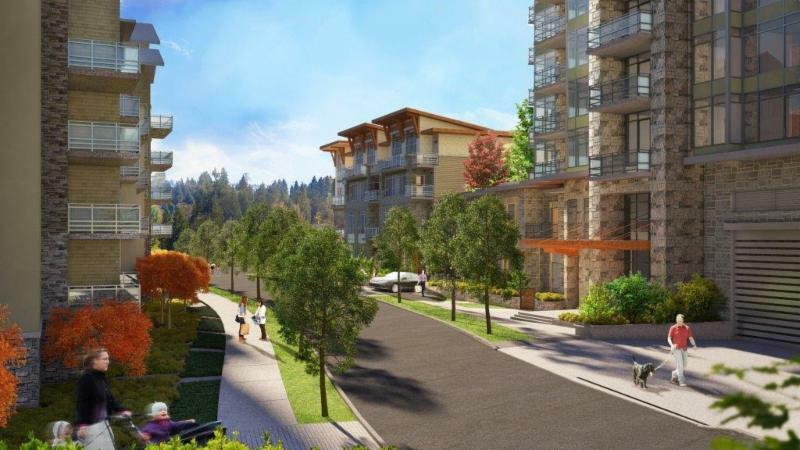 We take a look at all sides of the new housing debate and how it is affecting families, builders and Lynn Valley’s future. Meet the town planner, and join the LV Community Association! LV Community Association president Gillian Konst asked us to pass along an invitation to learn more about the redevelopment proposed for Emery Village (the rental housing area that is currently east of Mountain Hwy and 24th Street, off Emery Place). Proposals for the layout of the property, the multifamily low- and high-rise building, and amenities are here. Lynn Valley Community Association is facilitating an information session on the new development plans for Emery Village. Our role is to encourage everyone to help shape change in their community. Mairi Welman, North Van District’s communications manager, recently let us know about two new online tools you can use to keep abreast of issues affecting your neighbourhood. If you’d like to receive email notifications of new development applications in Lynn Valley, or across the entire District, just sign up here. And if you go to this link, up will come a map of the District with icons representing the major development applications that have been submitted but not yet approved by council. This info is updated once a week. Once projects have been approved, they are moved over into “Traffic Impacts” (a separate tab on the map), which shows road improvements that are under way as well as how each development under construction is handling traffic and any re-routing or disruptions are scheduled. The Ministry of Transportation will be hosting two Open Houses to present in more detail the plans for the enhanced highway interchange project in Lower Lynn, along with the new east-west connection for local traffic. The new interchange will give Lynn Valley residents direct south-bound access to Highway #1 and on to Second Narrows Bridge. Local traffic travelling east or west over Lynn Creek will have a new, direct and entirely local connection. Lynn Valley Road leading into the community from the Upper Levels looks much different with the removal of 80 trees in the centre median. Why were the trees cut? 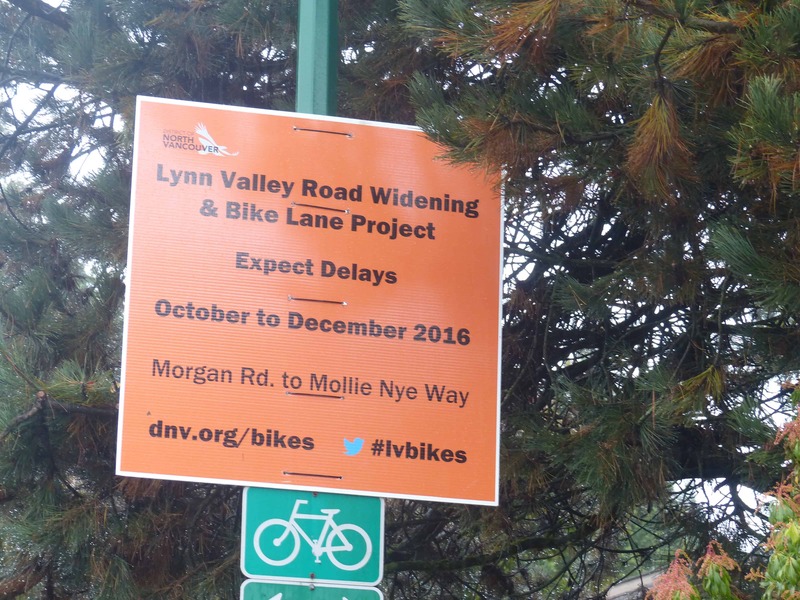 Two new bike lanes are being installed on both sides of Lynn Valley Road between Mollie Nye Way and Morgan Road. Construction began the week of October 17th with the project expected to take approximately two months. Crews will temporarily remove the centre median and widen the roadway to create room for the separated cycling lanes. The centre median will be replaced, with new trees, once the project is complete. Mairi Welman, communications manager with North Vancouver District, contacted LynnValleyLife with concerns regarding the circulation of an email containing false allegations of North Vancouver District wrongdoing in the sale of the former library property at 27th and Mountain Highway to the Bosa Development Corporation. If you’re like us, you’re curious to learn more about the Bosa redevelopment that will help shape the core of our neighbourhood into a “mountain village” town centre. Through our cooperation with Bosa Development and Magnum Projects, we’ve got the inside track for you on the overall development details and real estate investment opportunity.